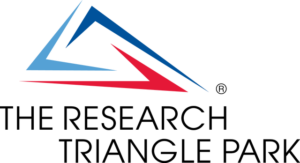 All of us at the TerrorBytes are excited about the new FIRST Robotics Competition game, STEAMworks! STEAMworks is a steampunk-themed game based on getting wiffle balls into a goal to generate “steam pressure”, placing gears to start rotors, and climbing ropes. It’s been a week, and it still sounds crazy. For an official overview, see the STEAMworks game animation. Unfortunately, we hit some bad luck with the weather. The night before kickoff a few inches of snow fell in our area. 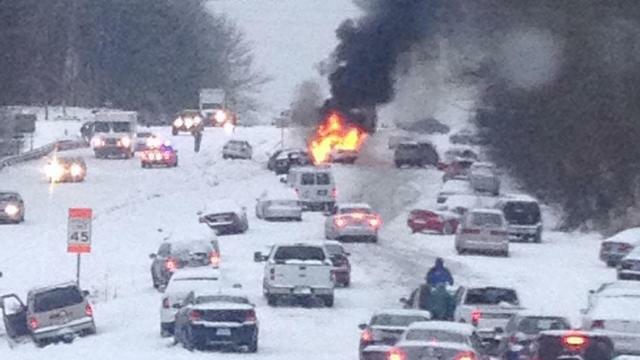 Seeing as this is North Carolina, all school related activities were promptly shut down for three days. We hope the robot drives better than this. In true TerrorBytes fashion, we didn’t let the inclement weather prevent us from moving forward with our plans. Over the course of the first weekend, our team conducted a close read of the rules and began strategy discussions online. 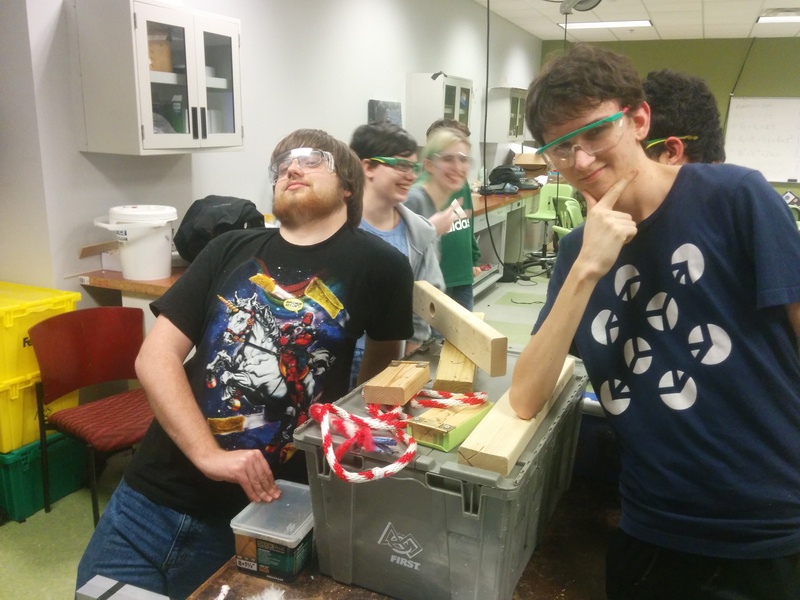 By the time we reached our first build season meeting on Tuesday, we couldn’t wait to start prototyping. Our strategy discussions moved fairly smoothly and quickly. We managed to stay on track through a team Discord server. In fact, the Strategy team completed their game analysis a day ahead of schedule! We’ve decided through our discussions to prioritize gear scoring and climbing, although we still strive to complete all of the game tasks. The Strategy team discusses our team’s strategy and priorities. On Tuesday, most of the team split into four prototyping groups: rope climbing, fuel shooting, gear manipulation, and a fuel intake. Guided by feedback from Strategy, we answered critical questions about possible robot subsystems. These answers will later influence our design process. We had great success with many of our prototypes, especially our rope climber. Thanks to the hard work of our whole team, prototyping progress has been moving quicker than ever. 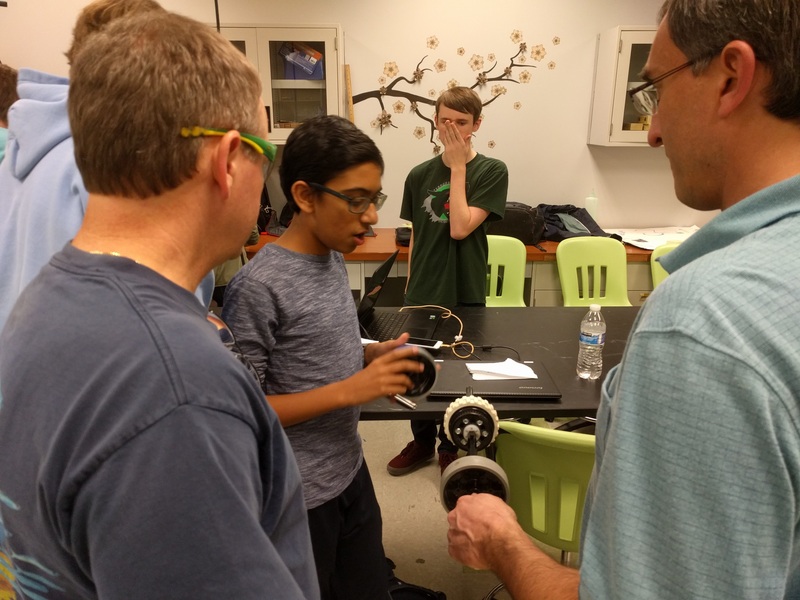 With guidance from mentors, our students prototype a possible flywheel shooter using some old test equipment. Comparing wheels for an intake. Striking a pose with the Kit of Parts tote. 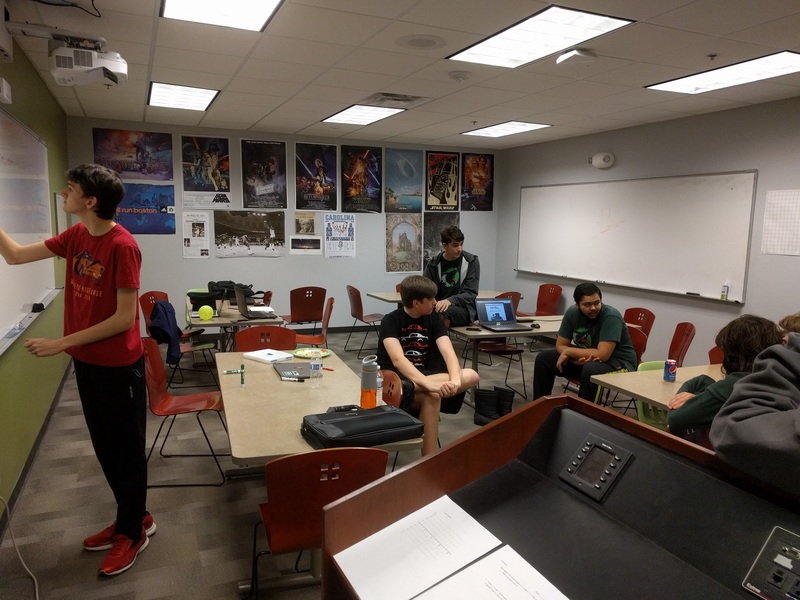 After the Strategy team completed its analysis of the game, the CAD team started work. They’re off to a great start so far, with the chassis almost complete save for a few minor decisions. Our ambitious goal of design freezing Tuesday of Week 2 will press the CAD team, but we think we’re on track to meet the schedule if things continue to run smoothly. The Programming team met officially for the first time on Saturday (1/14). 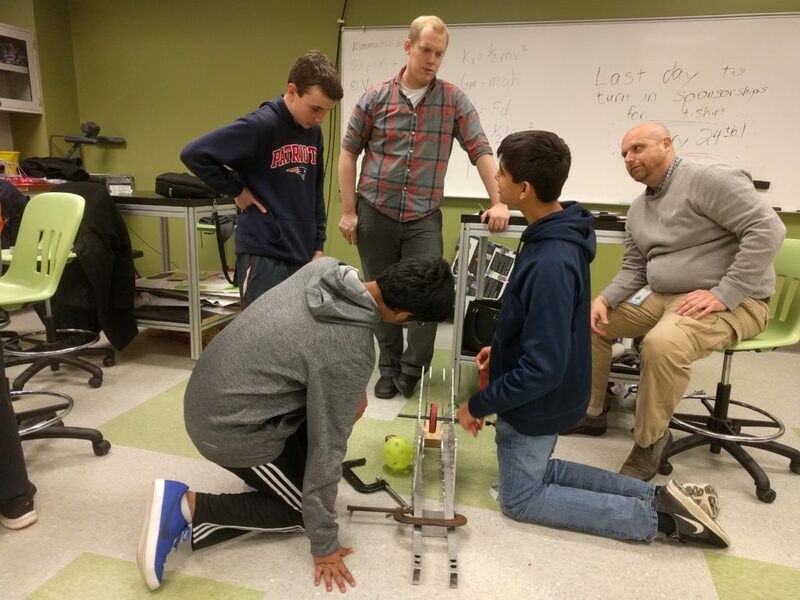 During our six-hour meeting, they accomplished more on the first day than in any previous year by a landslide; completing work on a basic drivetrain, finishing basic architecture for all subsystems, and setting up the team’s GitHub repository. That’s about all for this week. We’re preparing for a pretty exciting Week 2, so stay tuned. Until next week, use your best judgment!